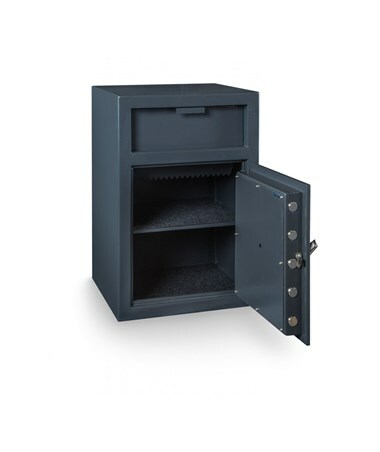 The Hollon 30 x 20 B-Rated Depository Safe with One Shelf is a 3.5 cubic feet cash safe with a height of 30 inches and width of 20 inches. 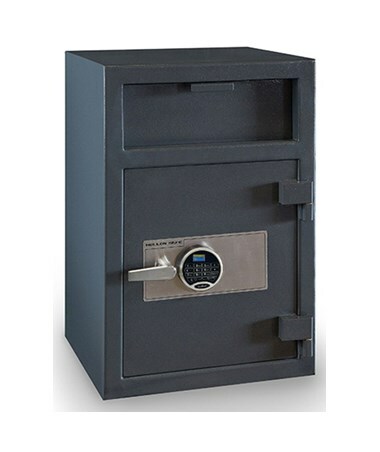 It includes a removable inner for organizing contents and is available in three different types of UL listed lock. 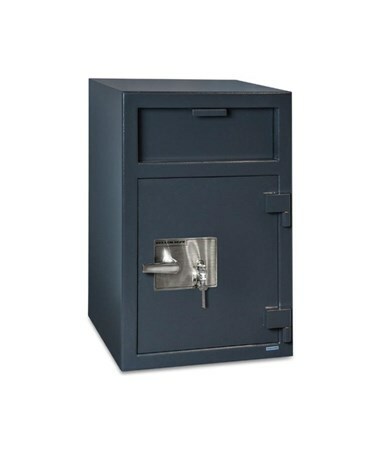 The deposit door has a serrated guard plate that acts as an anti-fish baffle device, while the safe door is secured with five solid steel bolts on the front side and a heavy-duty dead bar on the hinge side. 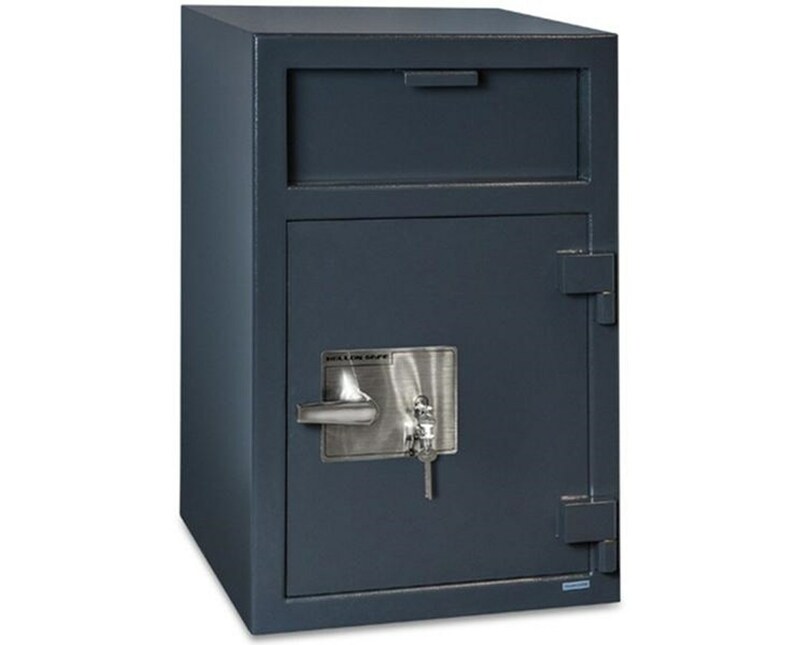 Also included is a spring-loaded re-locker, which is activated when the destruction of the lock is attempted. 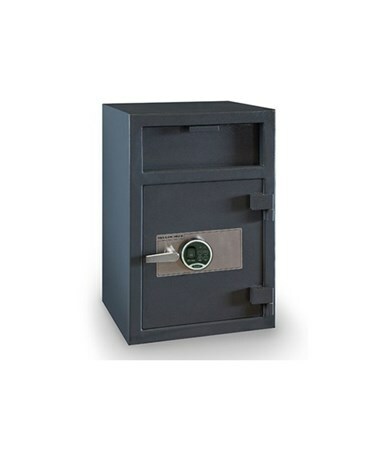 The pre-drilled anchor bolt holes allow the safe to be bolted down and prevent prying attacks or removal of the safe. 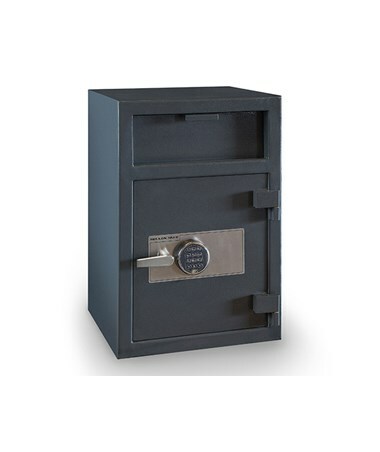 This B-rated depository safe is made of steel and drill or ballistic resistant hard plate that protects the lock and re-locker. It is has a powder coat finish and is backed by a one-year limited parts and labor warranty and a two-year limited replacement part warranty. 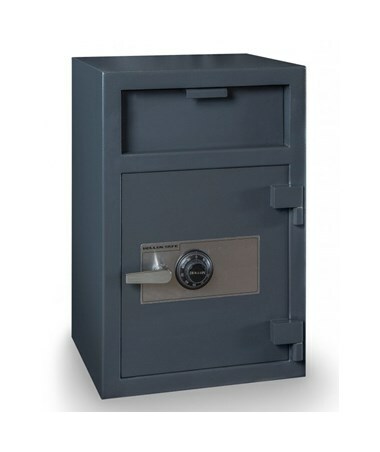 The Hollon 30 x 20 B-Rated Depository Safe with One Shelf is available in different types of lock. Please select your preference from the drop-down menu above.